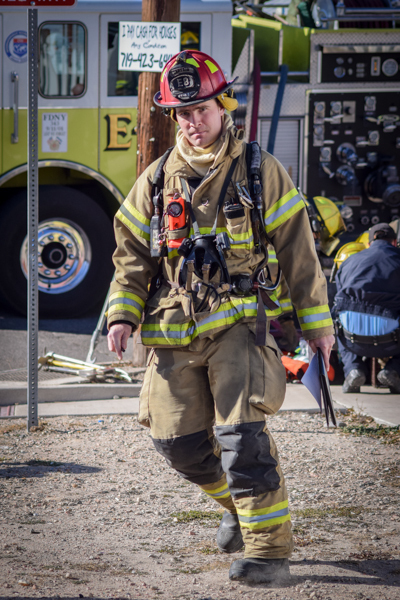 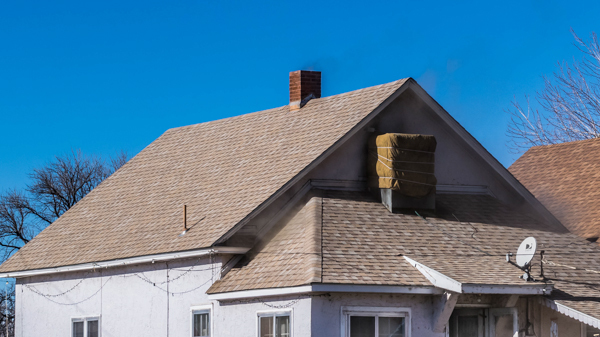 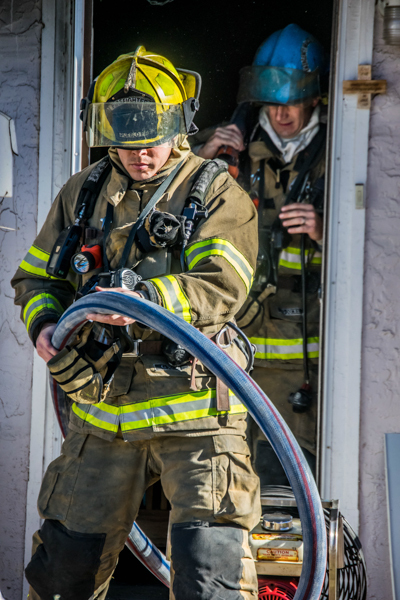 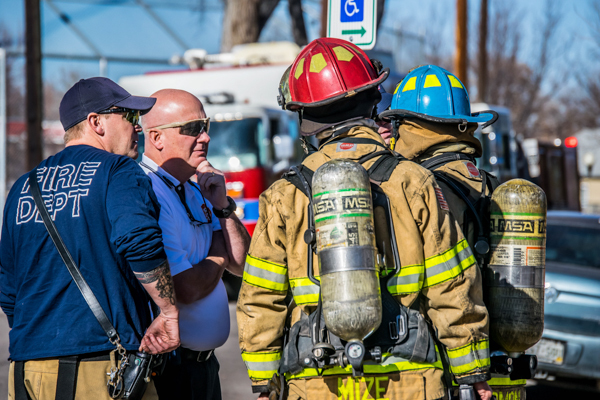 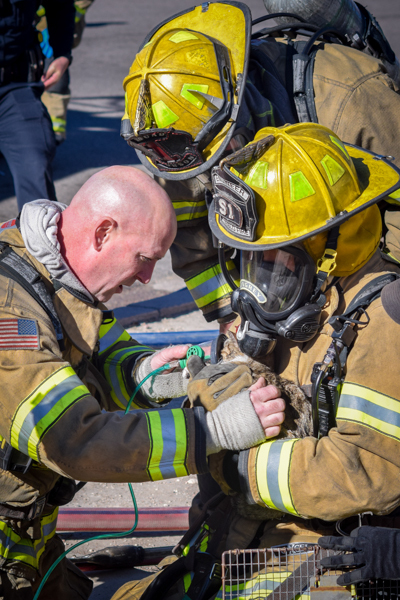 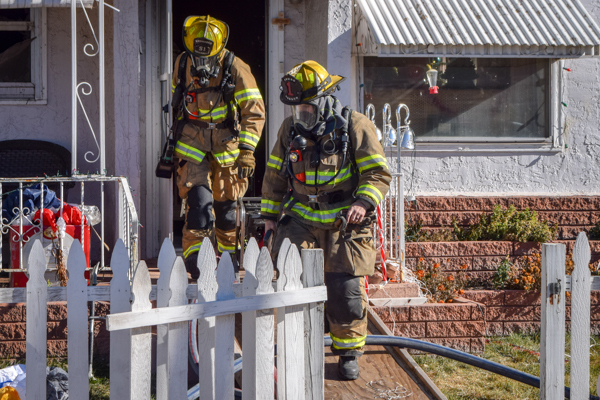 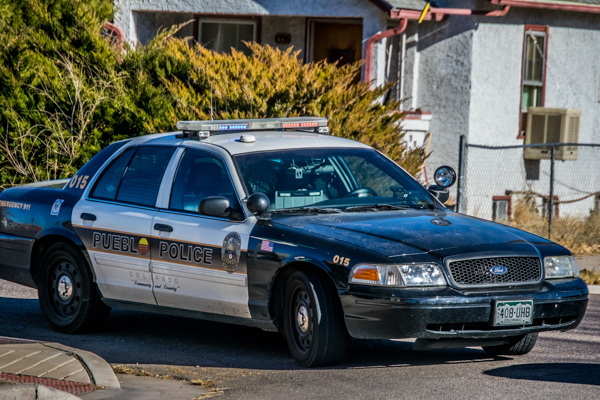 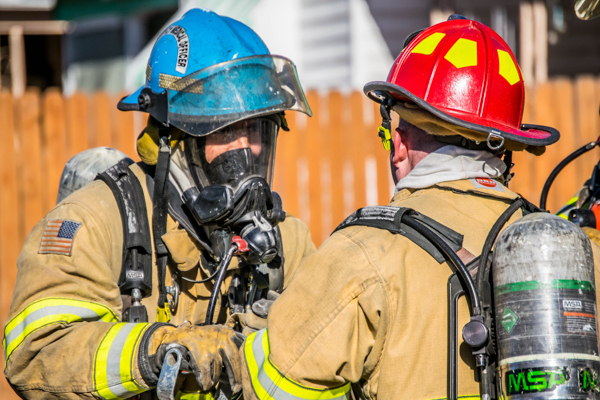 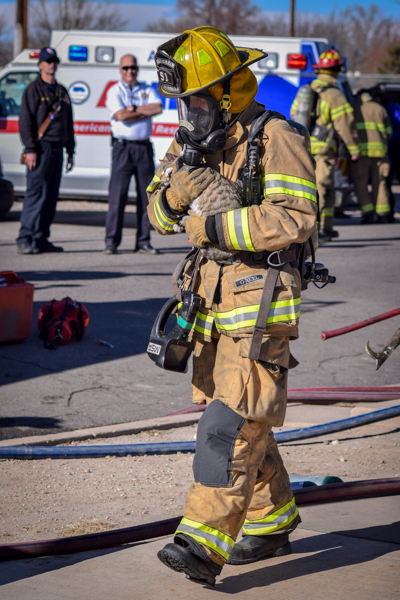 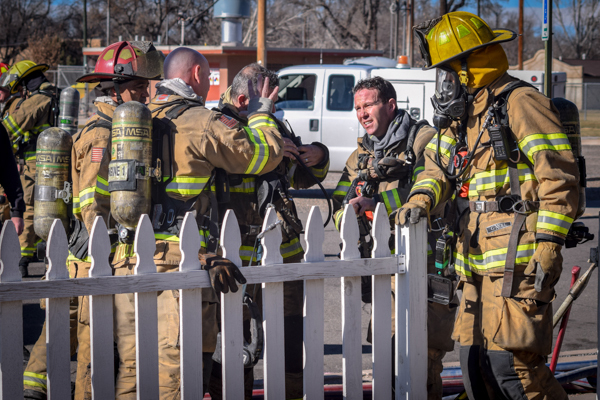 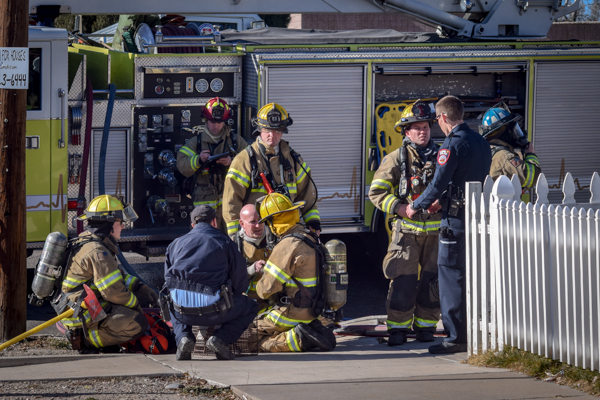 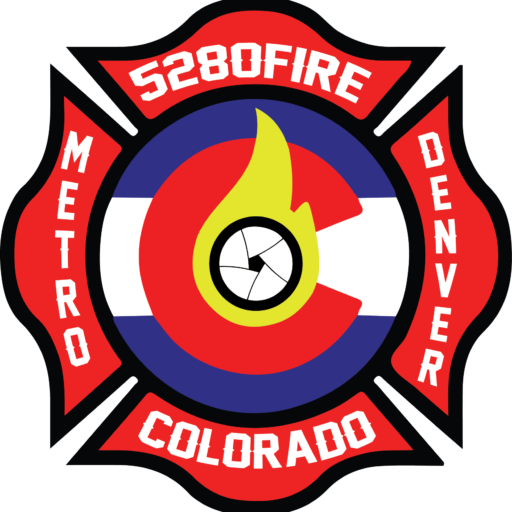 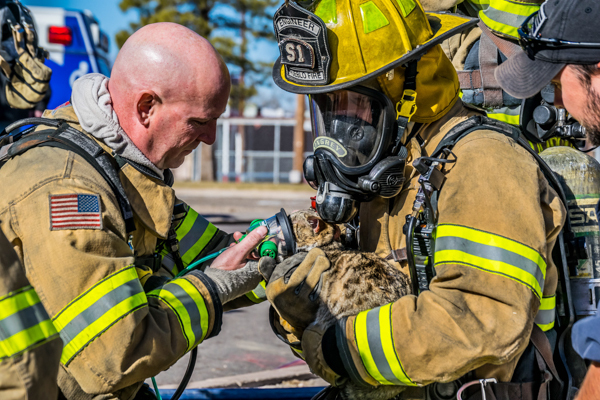 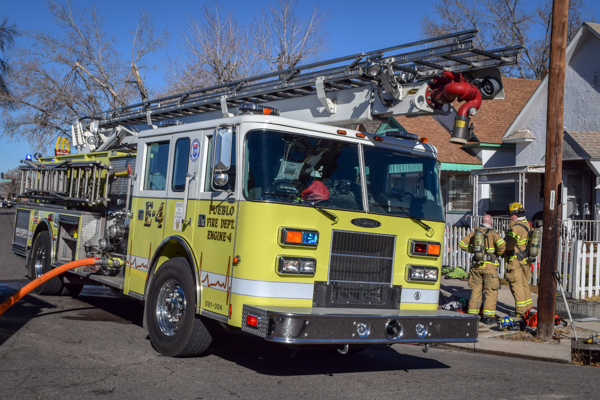 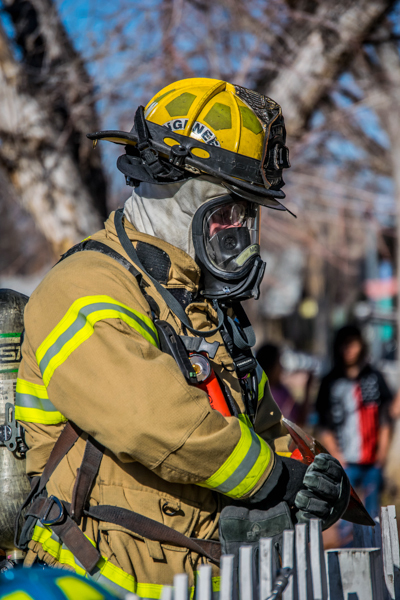 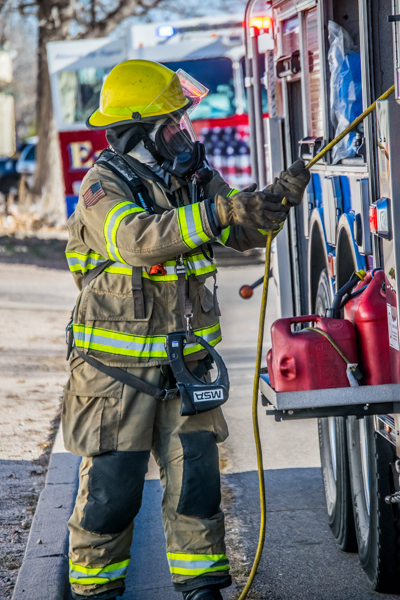 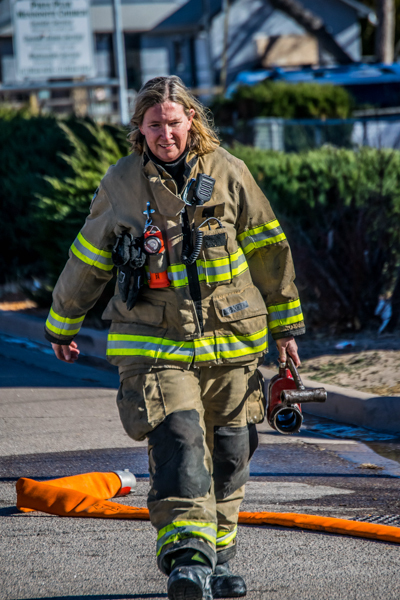 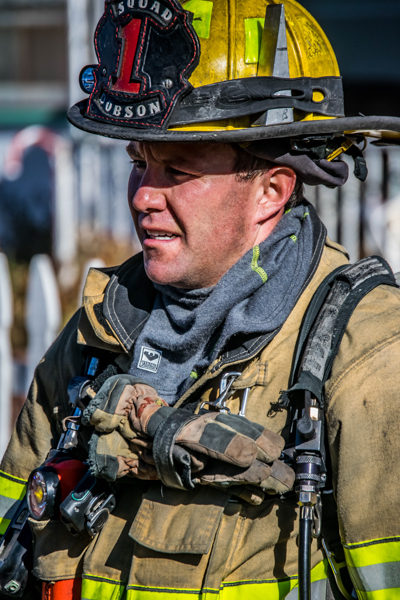 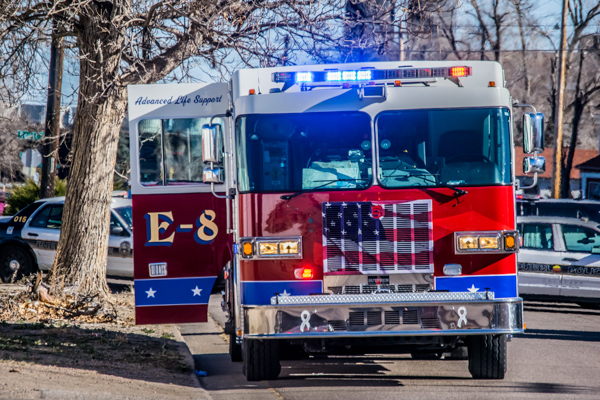 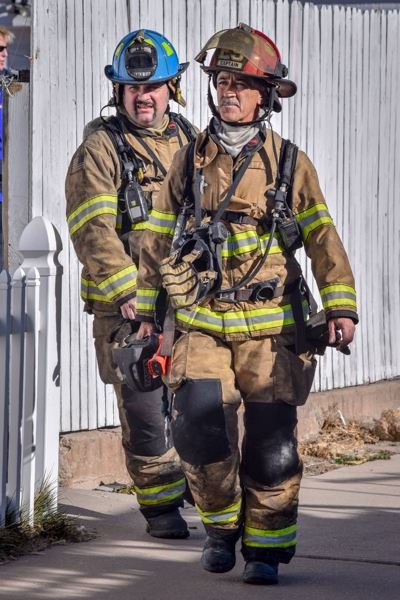 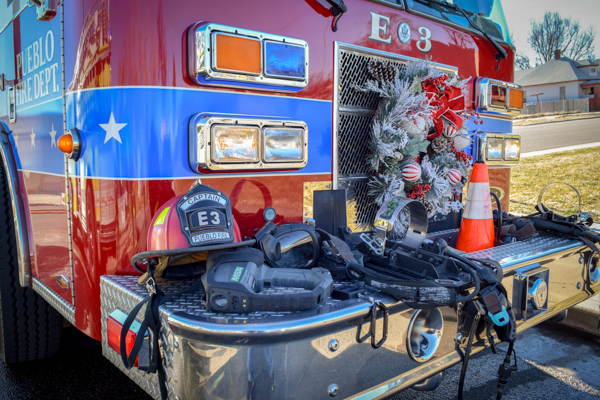 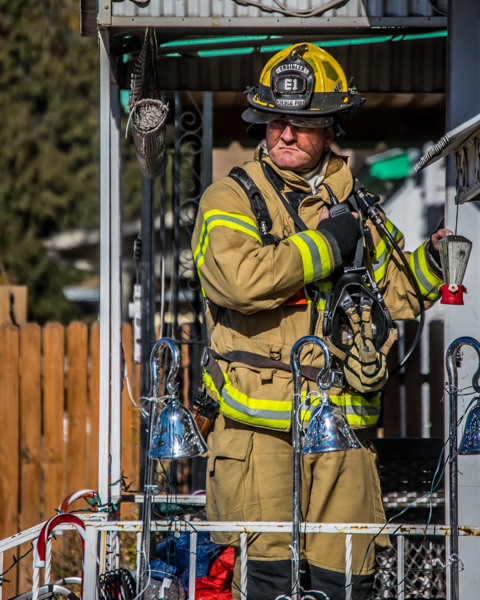 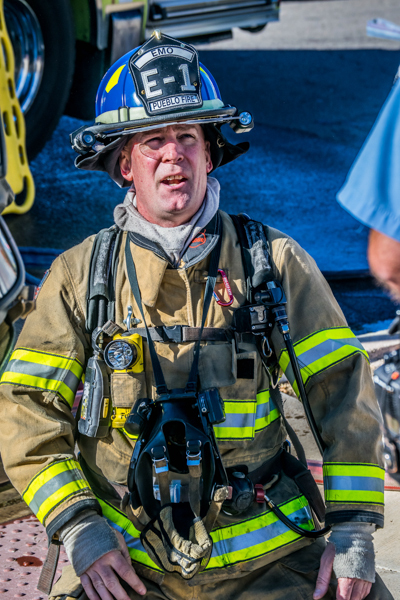 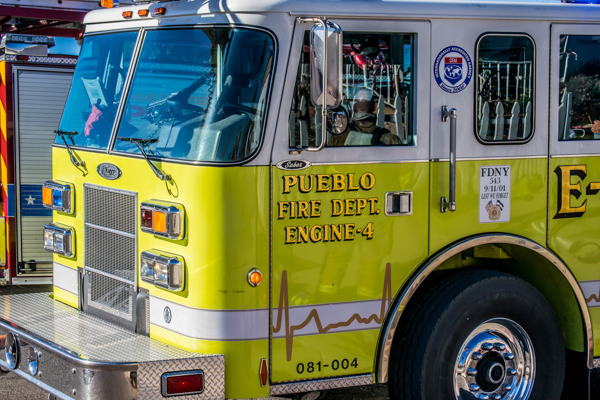 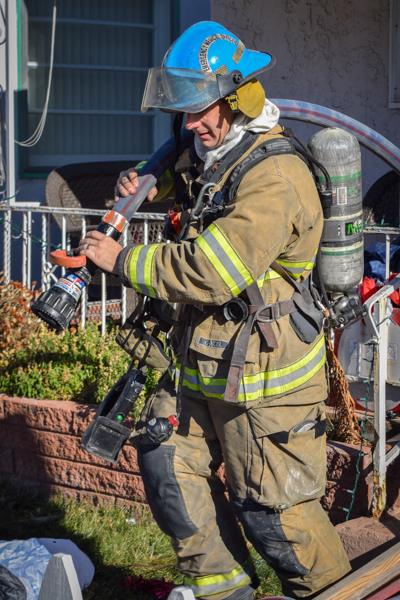 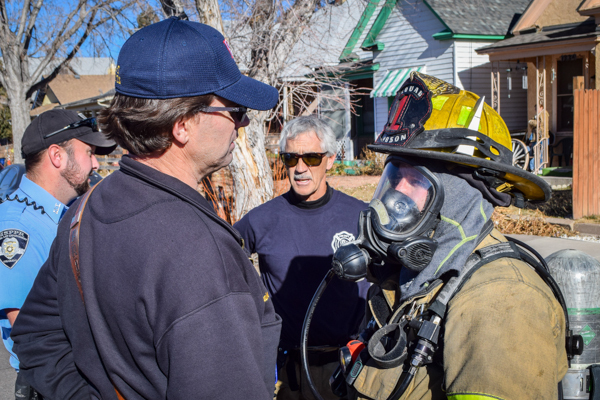 December 22 2017 – Just after noon Pueblo Fire Department was dispatched to the 1300-Blk of Pine Street on reports of a residential structure fire. Multiple callers reported smoke from the home and possible occupants still inside. 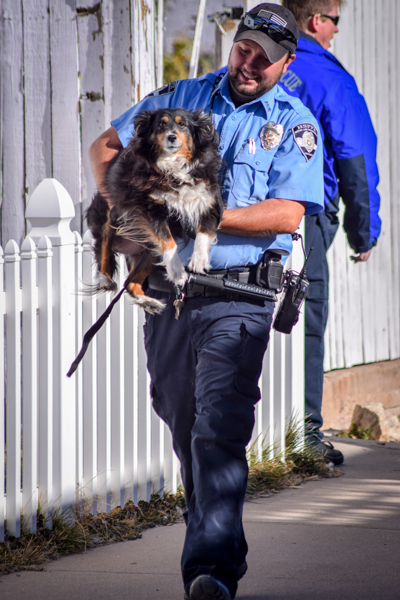 Callers also reported animals inside the home as well. 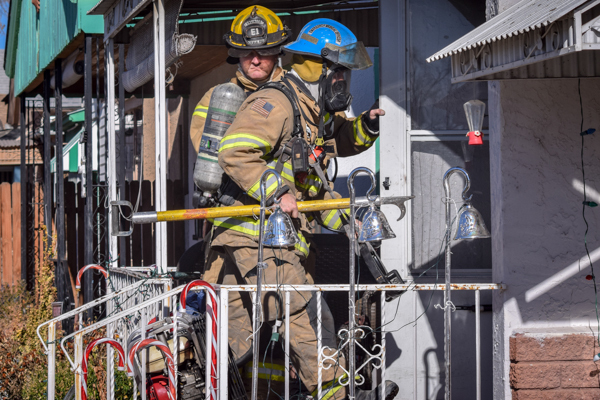 Crews arrived on scene and found the one occupant that had been in the home had escaped with the help of PD and shortly after was treated by fire crews and American Medical Response (AMR). 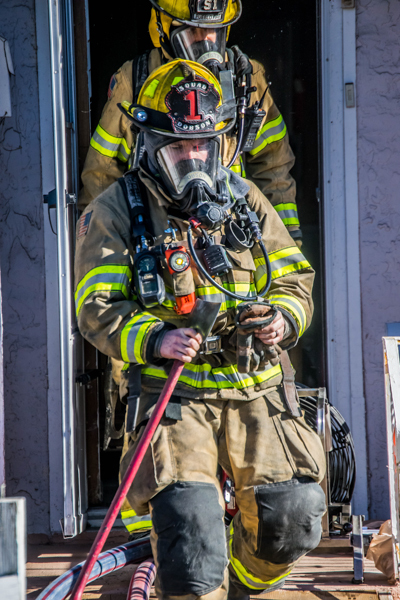 Engine 4 stretched a line inside as Engine 3 caught a plug. 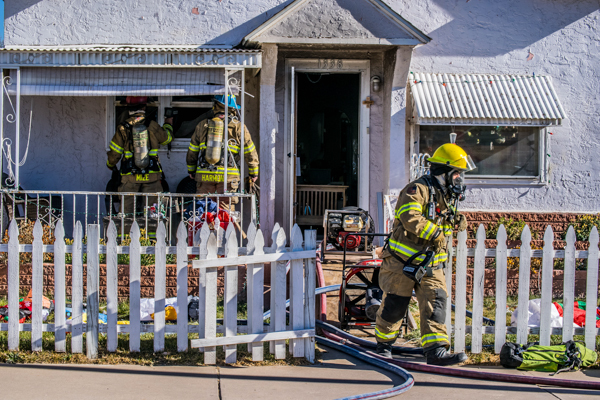 The fire was knocked down within 10 minutes and crews began to overhaul. 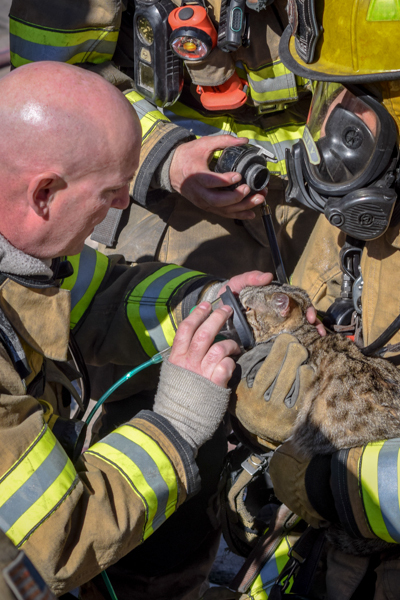 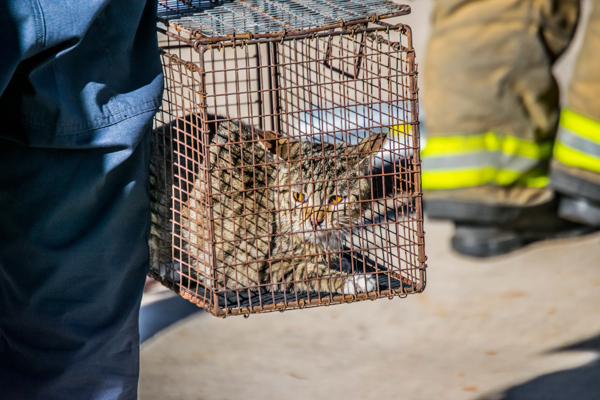 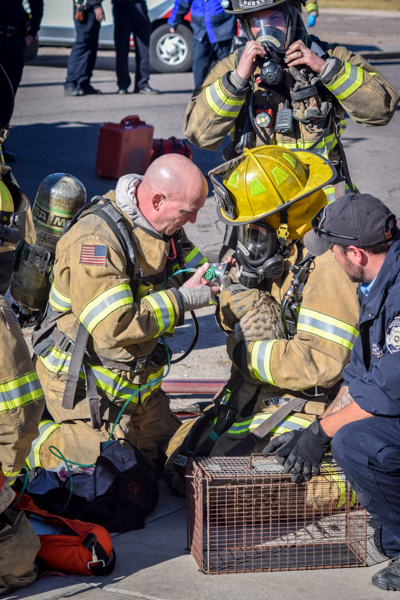 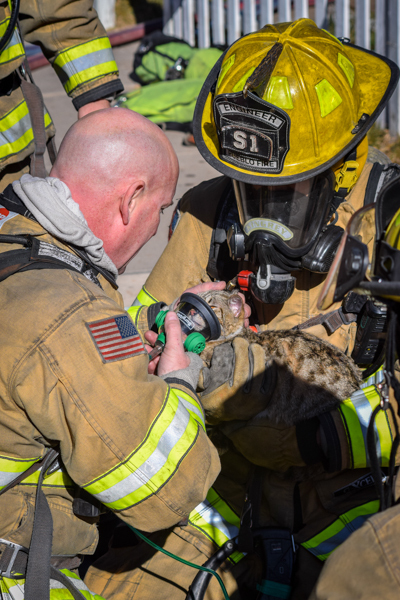 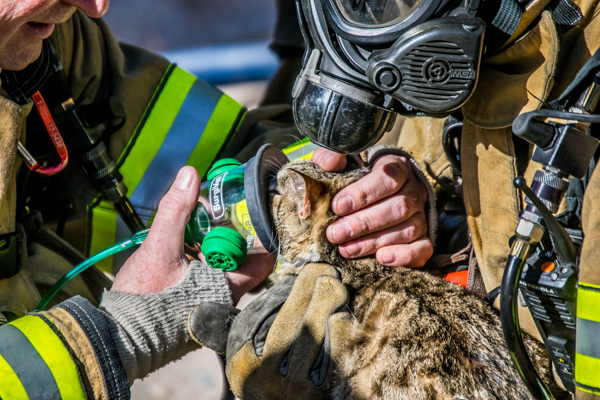 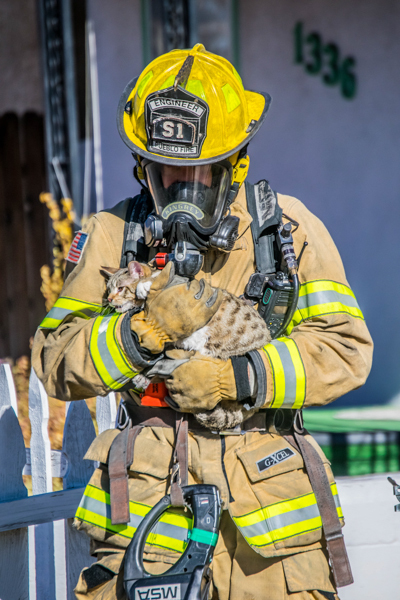 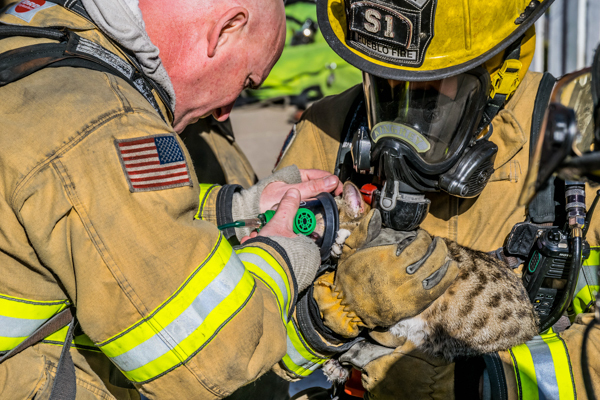 At least one cat was rescued by crews from Squad 1 and several other animals escaped into the back yard including a dog that Pueblo Animal Services took care of. 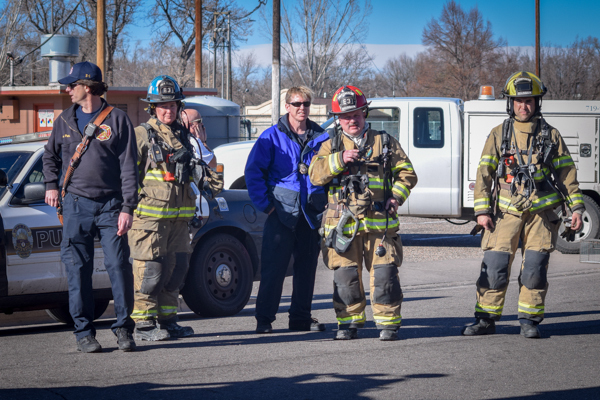 The cause of the fire is unknown at this time. 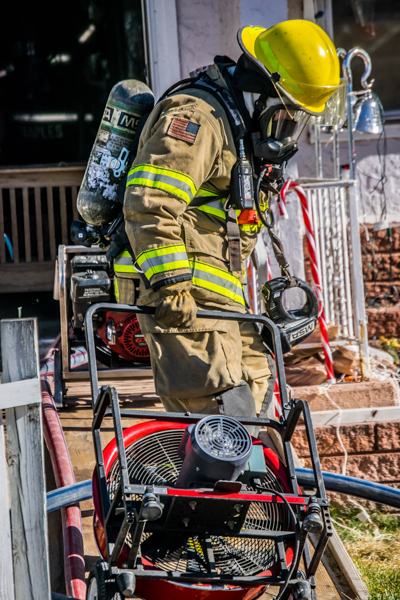 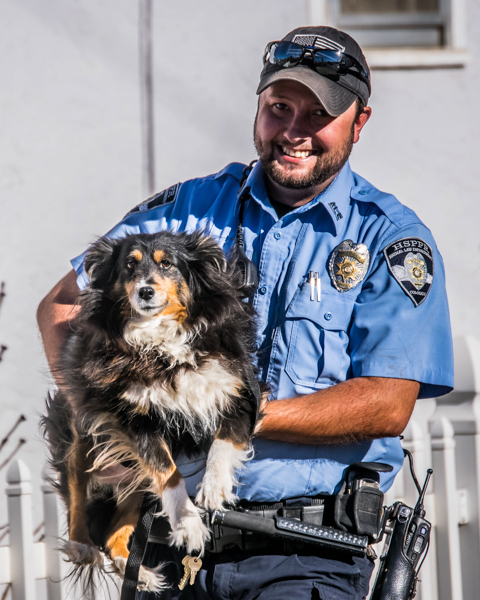 Photos & Story provided by Dustin Cox and Code 4 Photography.